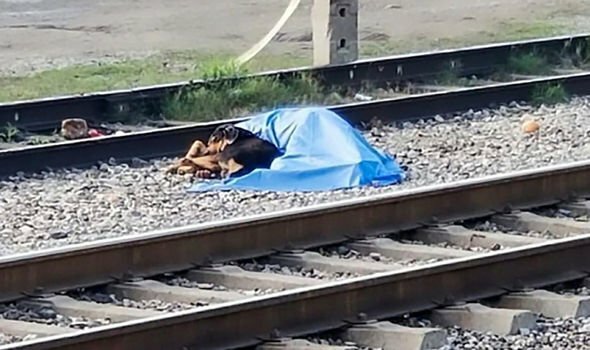 HEARTBREAKING pictures have emerged showing a loyal dog curled up next to the body of its owner after he was killed by a train. 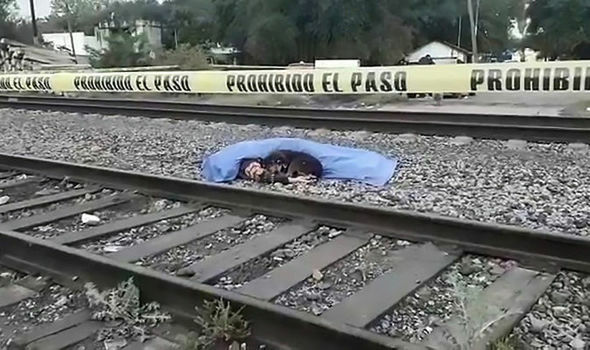 Victor Reyna Vazquez was knocked down and killed on train tracks in the early hours of the morning. According to locals, the victim and his dog had been companions for several years. The animal refused to leave after the 57-year-old man’s side after he was pronounced dead. Mr Vazquez was an alcoholic and had been drinking near the scene in Montemorelos, a city in Northern Mexico, of the tragedy, according to reports. Police cordoned off the area and a blanket was placed over the man’s body. When police officers and paramedics tried to remove the dog, it tried to bite them. Authorities had to forcibly remove it and it was taken to the civil protection facilities in MontemorelosFootage of the dog lying next to the man, as emergency workers look on, surfaced online. Social media users were quick to praise the animal’s loyalty, with one calling it “faithful until death”. One Mexican journalist reported the dog “didn’t move for hours”. There were calls for the loyal pet to be adopted. . . In March, a dog in Texas was branded a “hero” after he died protecting his family. Zero, a Great Pyrenees, pounced on a gunman who began shooting at birthday party, being fatally shot in the process. His owners said his brave actions saved their lives because the dog pulled the attacker’s arm down when he aimed at their chests, causing him to shoot at their legs instead.